What a way to end a wonderful week of football for City. Demolishing Liverpool, Feyenoord and Watford in the space of seven days whilst scoring fifteen and not conceding a single goal. Does it get any better than that? It just might if Sergio keeps up the fantastic run of form he finds himself in. His performance today was a vintage Agüero display, full of hunger drive and devastating lethality in front of goal. Finally, it seems as he is beginning to truly flourish under Pep and his burgeoning relationship with Gabriel Jesus will leave every team in the league shaking in their boots. Your Man of the Match in what has been another fantastic team performance? If there’s one thing everybody knows about Sergio Agüero, it’s that he is one of the greatest finishers the Premier League has ever seen. 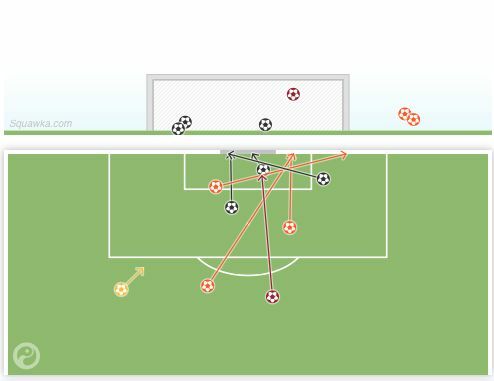 His ability was on full show today as he fired off eight shots over the course of the game, with 5 of them coming from inside the box. Fair credit should be given to the likes of Walker, Mendy, De Bruyne and David Silva here as between them they manufactured chance after chance for Agüero to be let loose in the Watford box. Not that Sergio shouldn’t be given credit himself, though. His movement was absolutely exceptional today, constantly lurking on the blindside of defenders in order to escape their attention. The danger that a blindside run poses cannot be overstated. When such a run is made it forces the defence to make a decision: either they rely for the defender not facing the play to react and adjust or another defender must cover the run. Should another defender cover the run, then space opens up elsewhere and that is equally if not more dangerous than the initial run itself. Another key part of his game today was his movement inside the box. He made a wide variety of runs, varying from flashing to the near post to lingering around the penalty spot. 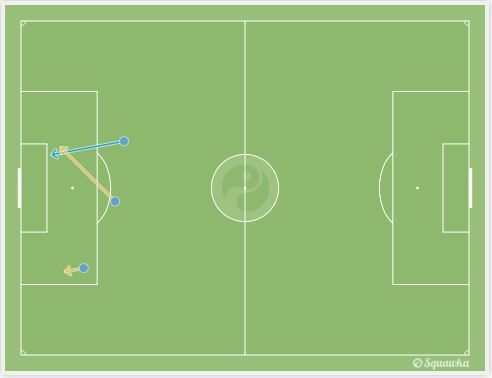 The positional awareness on display was fantastic, always being an option for Mendy and Walker to hit once they reached the byline. Crosses are much more dangerous when aimed at a player in space as it forces the defence to collapse around the location of the ball. From that point if City can win the second balls, then goals and chances to score will surely follow. A criticism often leveled at Agüero last season was that he didn’t create enough chances for his team mates to score. Whilst that may have been true initially, as the season wore on (particularly in the last few weeks) he began to create more and exist within Pep’s framework more fluidly. Today was a fine example of that evolution. Far from being content to linger on the last line of the defence Sergio actively looked to aid with ball retention and combine in front of the defence. These combinations often involved himself and one of Jesus or Sterling; by having the three forwards positioned so closely together it allows them to play with great speed and variety in front of the defence. 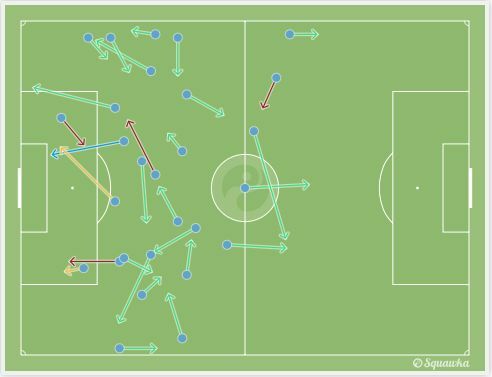 Moreover, with Sergio dropping away from the defence he was free to make influential passes to the runners ahead of him. This can be seen in all it’s glory in the build up to Jesus’ goal. The defence is so concerned with Agüero’s positioning but remains hesitant to close him down. Jesus makes a run on the blind side of the defender and with all the space he needs Agüero slips him through to score. All in all, it was a complete performance from Agüero today. He scored, he created and he even did the defensive work as he notched up two interceptions in the Watford half. If he keeps up this form then Crystal Palace next week will be fantastic viewing.